In 2012, the World Health Organization (WHO) estimated that between 65% and 80% of the world's population relied on alternative medicine as their primary health care source. More than 40 percent of Americans are using Complementary and Alternative Medicine (CAM) to maintain their health or to treat physical and psychological health conditions. Aromatherapy can be used during massage, as steam inhalations, in compresses and in other ways to balance the body and mind. Researches have revealed that human touch has wide-ranging physical and emotional benefits for people of all age groups. Aromatherapy is the therapeutic use of essential oils distilled from the leaves, fruits, seeds and flowers of various plants. 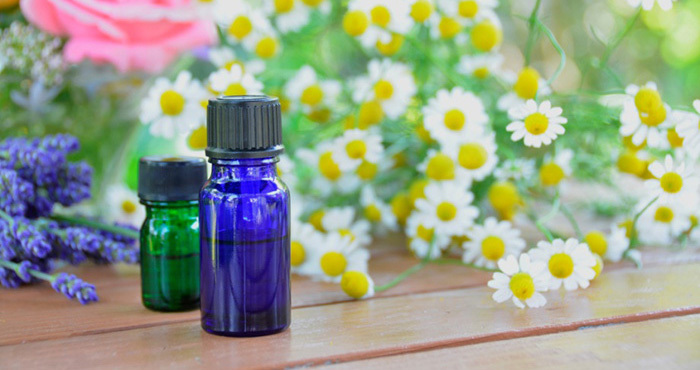 Some essential oils induce uplifting or invigorating effects, while others are more calming. The sense of smell has a powerful effect on the body via the olfactory system to trigger memories as well as affect the body’s nervous system. Bergamot： calms mood, fights depression and fatigue. Chamomile： soothing with anti-inflammation properties and used for chronic pain. Lavender： relieve stress, reduce inflammation, wound healing and lower blood pressure. Eucalyptus： helps with migraines, fevers, respiratory issues, and bacterial infections. Ginger： used for nausea/vomiting, constipation. Lemon： improve body circulation and varicose vein. Peppermint： enhance mental alertness and boost energy. Rosemary： improve memory and cognition. Please note these suggestions should not replace medical treatment. They are intended to be used as a complementary therapy. A blend of frankincense and grapefruit were used to alleviate symptoms of depression and sun-downing as well as nonverbal behavior of yelling, cursing, biting, scratching, kicking and crying indicating discomfort or stress. Lavender and bergamot essential oils have been used in the elderly care settings to assist in pain management and to reduce insomnia. A 2011 study in Hong Kong showed that aromatherapy massage seem to help relief of constipation in patients with advanced cancer. Elderly commonly suffer from pain and stiffness as a result of arthritis may find some relief by way of rosemary and lavender, both anti-inflammatory essential oils. Rosemary, peppermint and basil serve as mental stimulants to improve concentration and alleviate cognitive strain. Lavender and lemon were found to decrease the instance of behavior problems and physical agitation. They also improved communication and overall functionality. 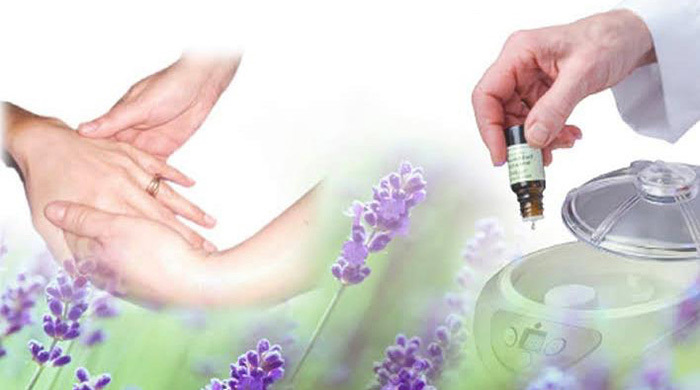 Aromatherapy is often used in conjunction with standard treatments to manage symptoms like pain, anxiety and fatigue. Because of the positive effect it has on emotional well-being, it can be a key part of managing feelings of hopelessness or despair. Dementia is a progressive disease of the brain. There is decline in cognitive and intellectual function such as memory, comprehension, learning capacity, as well as language and judgment. 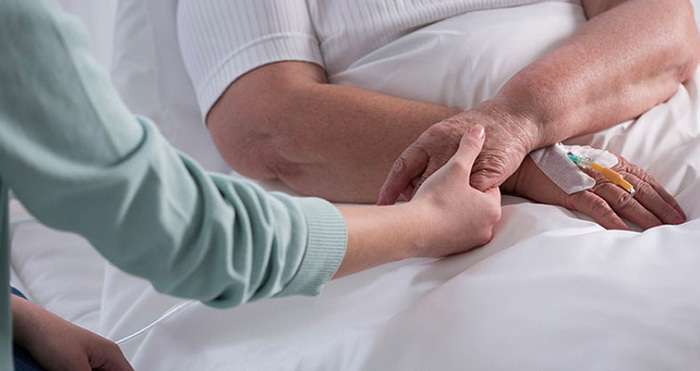 Patients gradually deteriorate with impaired functioning in daily activities, with emotional and behavioral problems, easily get lost, cannot recognize relatives and may become totally dependent. Japan, having the highest life expectancy in the world, in addition to using medications, also makes use of various ‘non‐pharmacological’ approaches in the treatment of senile dementia. Other studies suggest that aromatherapy can reduce agitation, anxiety, and insomnia in people suffering from dementia (Bowles, Cheras, Stevens, and Myers, 2005). A measurable sedative effect was demonstrated through the use of aromatherapy massage in a controlled trial of twenty-one hospitalized people suffering from dementia (Smallwood, Brown, Coulter, Irvine, and Copland, 2001). Gentle and soothing touch from someone we trusted is an effective way to let go of our daily tension. When we hurt ourselves we rub the area to make it better and ease the pain. We comfort those who are upset with a hug and a cuddle. Touch lessened pain, improved pulmonary function, increased growth in infants, lowered blood glucose and improved immune function. In the earliest stages of a child's life, touch is a critical part of the establishment of a bond between parent and child. In 2007, a UK study tested whether aromatherapy massage could reduce anxiety and depression in people with advanced cancer. 280 people with anxiety or depression took part. Half of them had aromatherapy massage on top of their usual supportive care. The researchers found that those who had aromatherapy massage were less anxious or depressed for up to 2 to 6 weeks after the massage. There was no difference at 10 weeks. A US study in 2004 looked at the use of massage and aromatherapy in 42 people with advanced cancer. Those who had aromatherapy massages slept better and had less depression than those who didn't. Massage of arms, hands, feet, legs can help many patients with various ‘aches’ and pains. 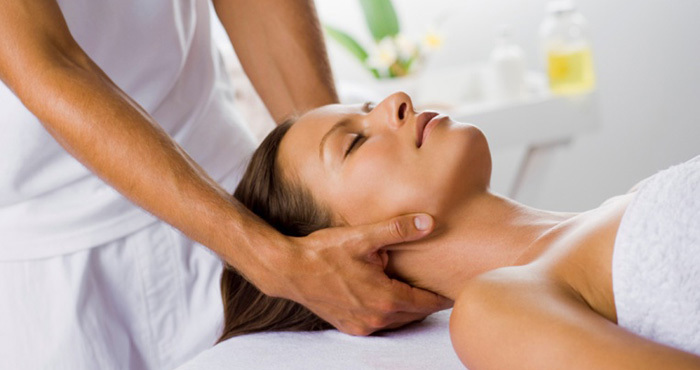 Skilled massage relaxes and revitalizes an ailing or tired body. Massage is also a way of communicating warmth, reassurance and a sense of self worth. Massaging the abdominal area is not advisable during pregnancy, menstruation or when feeling too full or nauseous.